An internationally known award-winning author and lecturer. 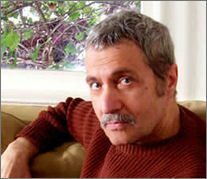 Michael Parenti is one of the nation’s leading progressive political analysts. His highly informative and entertaining books and talks have reached a wide range of audiences in North America and abroad. Michael Parenti received his Ph.D. in political science from Yale University. He has taught at a number of colleges and universities, in the United States and abroad. He is the author of 20 books. He has won awards from Project Censored, the Caucus for a New Political Science, the city of Santa Cruz, New Jersey Peace Action, the Social Science Research Council, the Society for Religion in Higher Education, and other organizations. In 2007 he was awarded a Certificate of Special Congressional Recognition from U.S. Representative Barbara Lee.